Very Good. 0520067177 VG in VG dj; Contents are tight and clean. Near Fine in Near Fine dust jacket. 0520067177. Previous owner name stamp on front free endpaper. ; B/w illustrations. ; 8vo 8"-9" tall; 405 pp. Fine in fine dust jacket. Sewn binding. Cloth over boards. 405 p. Contains: Illustrations. As new with dust jacket. Cloth; 397p., illus. ; ISBN 0-520-06717-7. Very Good in Very Good jacket. 9780520067172. Size: 9"-10" Tall. Previous owner's name in ink. Quantity Available: 1. 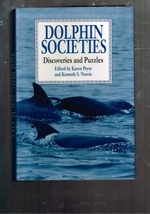 Category: Animals & Birds; Nature; ISBN: 0520067177. ISBN/EAN: 9780520067172. Pictures of this item not already displayed here available upon request. Inventory No: 23317.